Cameras are one of the most popular features of smartphones. Unfortunately, even if most devices take average quality photos in well-lit environments, results in the dark are much less satisfactory. Introducing the Pocket Spotlight, an auxiliary flash for sharper mobile photos and videos. The Pocket Spotlight is a small plate (2.5 in. by 1.5 in.) equipped with 32 LED bulbs. Unlike a flash, it provides continuous lighting, which is especially useful for shooting videos and for automatic focus in the dark. 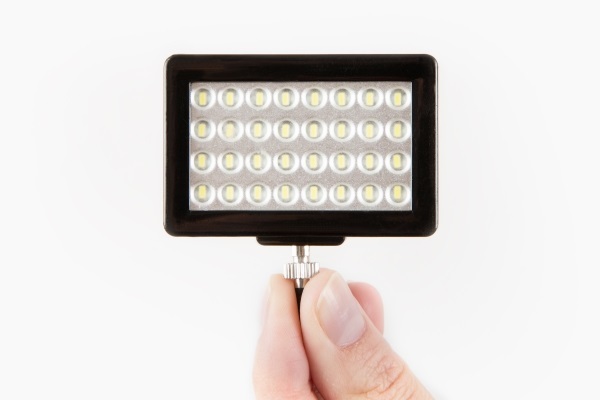 This device also provides much better lighting than your phone’s typical built-in flash. The Pocket Spotlight can be mounted on any headphone jack, but also attaches to regular camera hot-shoes. It recharges via a USB cable, offering one hour of operation. This product is available for $30, with an additional $10 for colour filters.